I was working on the library just now and got to thinking some might want to know the history of the library. 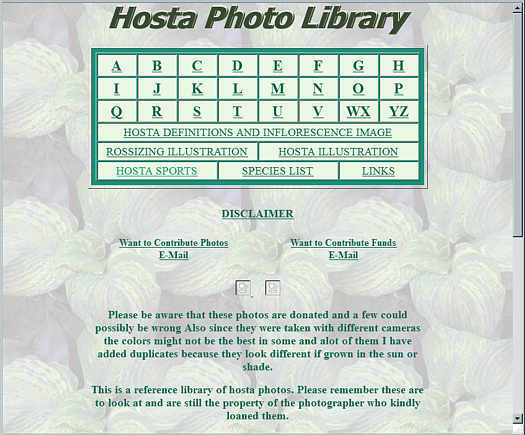 Back on Feb. 27, 1999, Carol Brashear and I were discussing the need for something like the library to help people actually see what different hostas looked like that people bought, especially over the internet. Up to that time when a person asked for a catalog from a retailer they got this many-paged, inkjet printed, black and white catalog, line after line of descriptions and prices. I suppose it would work if someone actually took the time to read it - I never did. Anyway at 1:30AM on the 28th (I wrote it down, I do this for all websites) I was still working on something and decided to create the framework for the site. It actually still is about the same as it is now, good or bad. As I had very few decent photos it was lucky Carol did. In the weeks and months to come she dug out prints and scanned them and her photos were the basis for the library. It took awhile for others to send many - some were skeptical at first. Carol sent the bulk to get it started. Later with the different contests, others sent more but Carol's were still the most cutting edge of all. Just now I was looking to see if I could remember others who have helped by clicking through the library pages but just so many are Carol's. There have been other main photo contributors over the years. Viktoria Serafin, Kathie Sisson, Danny Van Eechaute, Jamie Freer, Karen Butner, Kent Terpening, and others that I can't remember right now. A lot more. Barbara Jones has held the money for the library and paid the bills for it. She has also kept track of the contests and sent the money out for those as well. She has been a really big help. I also want to mention Bill Meyer and George Schmid. They help with all the technical stuff about hostas. Bill checks stuff, judges contests, answers questions, and does the virus stuff. George helps catalog plants, where they should go if there is a question and as we speak is doing a large, scientific section on species. 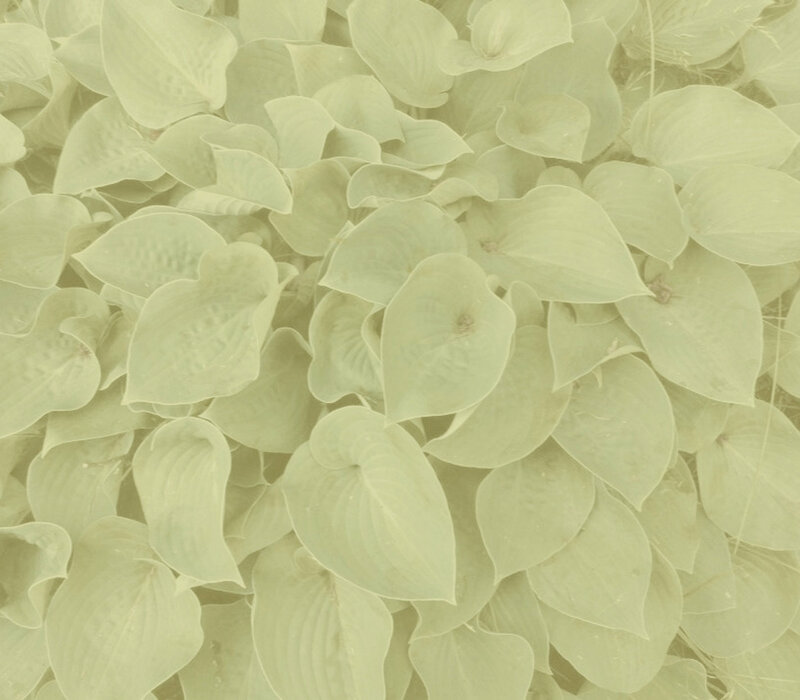 I know hostas come and go almost with the blink of an eye, I think they are sure getting better with the years. Can't wait to see what they and the library look like in ten or twenty years.